We are a Czech copyright collective society. We manage the rights of most of performers and producers in the territory of Czech Republic. 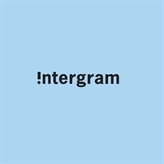 Here at Intergram, we take pride at our in-house developers team. We are basically a data company whose main task is redistribution of license fees for our copyright holders. For this we develop our SW internally and the IT department here is the core of our business.